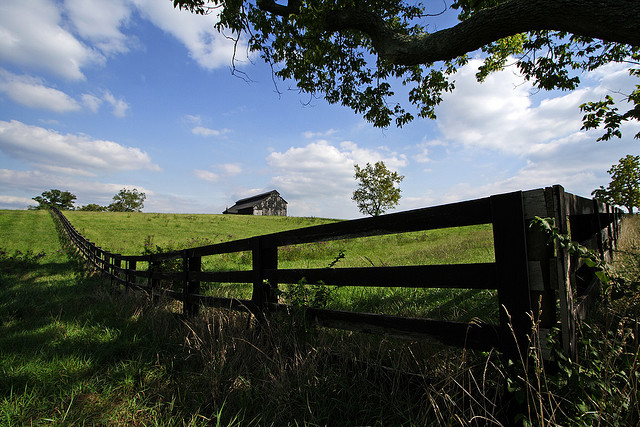 Scenic Fayette County, Kentucky (bluegrass country); photo by Jim on Flickr (noncommercial use permitted with attribution / share alike). Kentucky's official state motto is "United we stand, divided we fall" (appearing on both the state flag and great seal of Kentucky). In 2002 Kentucky also recognized an official Latin motto: "Deo gratiam habeamus" (Let us be grateful to God). This phrase appears in the preamble to the constitution of the Commonwealth of Kentucky . 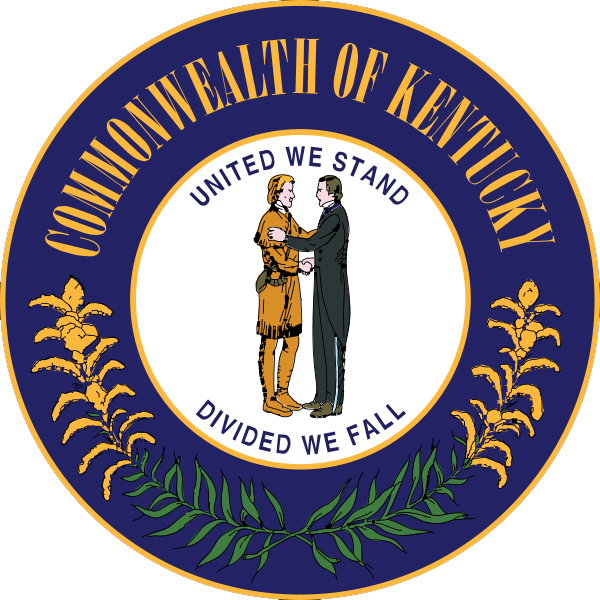 Kentucky's state seal (public domain image on Wikipedia).